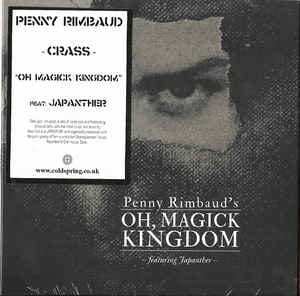 Background/Info: This album released by the legendary Crass front man Penny Rimbaud got originally released in 2011 on Boo-Hooray & Exitstencil Press). The original record is now hard to find and that’s why Cold Spring has brought it back to life. The song was written together with the New York-based formation Japanther who visited Penny Rimbaud. Content: “Oh Magick Kingdom” is something special; a sonic poetry on, which Penny Rimbaud got inspired by broken relationships and possible conflicts, which can exist between love and desire. It brought him –quite naturally, to the work of Shakespeare, which in a way became another source of inspiration. But this work is more than simply poetry, it also features the sensitive touch of acoustic instruments such as a cello and saxophone parts. Somewhat martial-like drum parts can be noticed as well. + + + : “Oh Magick Kingdom” is an audio-book or a kind of experimental theatre in different, short acts, which are all related with each other. The cello injects an authentic touch to the work, but still accentuates the passion of the poet. – – – : The main point with such a recording is the truly experimental approach. 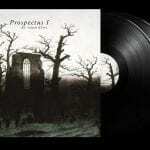 It has something avant-garde like and still pretty 80s like when experimental music was slowly growing. It’s not an ‘easy’ and accessible release. Conclusion: Pure experimental, but still something visionary-like, this record is first of all a poignant and passionate expression of arts and a truly sonic challenge.